Even if some of their films haven’t been your cup of tea, none of us can deny the force in the industry that Blumhouse Productions has become. In the past decade or so, they’ve enthralled audiences with new franchises such as Paranormal Activity, Insidious, Ouija, The Purge and, my personal favorite, Sinister, to name but a few. 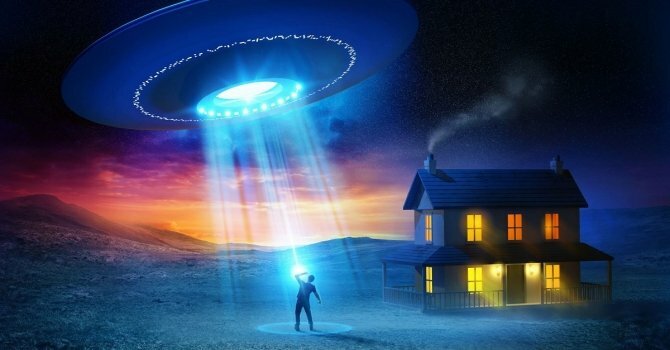 But now, they’re aiming to find new ways of keeping us awake at night, this time via Invasion, a sci-fi horror flick that involves a home invasion that happens during an alien invasion. Sounds cool, right? The company snagged the rights to the spec script this week, and it comes to us from Into the Storm‘s John Swetnam and Leprechaun: Origins‘ Harris Wilkinson. Plot details are still scarce, and understandably so, but Deadline says that the film includes themes like immigration and features a strong female lead. It’s far too early for casting, of course, but with Blumhouse now on board, we imagine things will get going shortly. Unfortunately, that’s all we’ve really got to go on at the moment, as it’s still very early days, but given the output we’ve been seeing from the production company lately, there’s good reason to be excited about this one. The premise is definitely intriguing and with things now starting to heat up, you can bet we’ll be keeping an eye on Invasion as it makes its way in front of cameras – which will probably be at some point later this year.